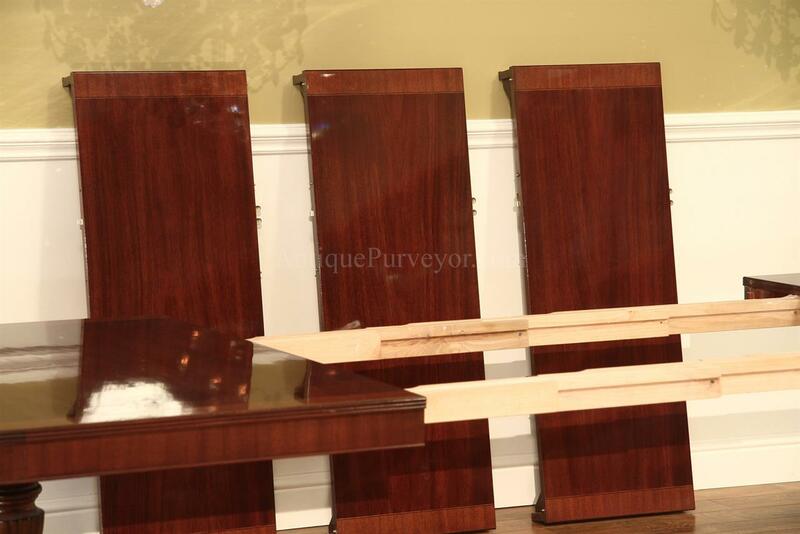 Table can Seat 10 to 12 people and opens to 132 inches with 3 leaves. 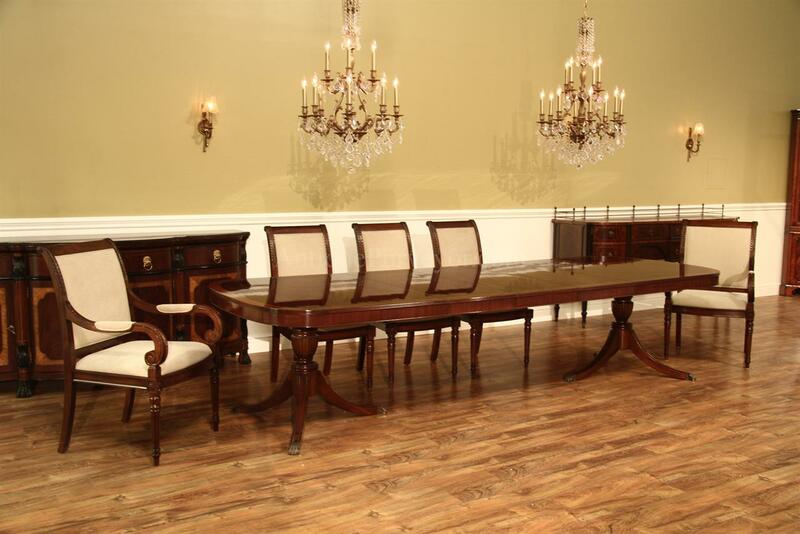 Description: New high end American made and custom designed mahogany dining table. 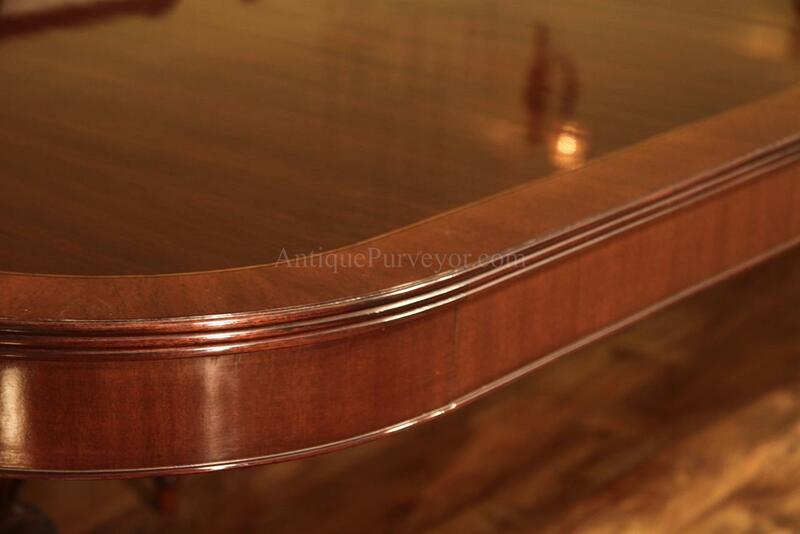 This classical American revival double pedestal table was manufactured in great detail. 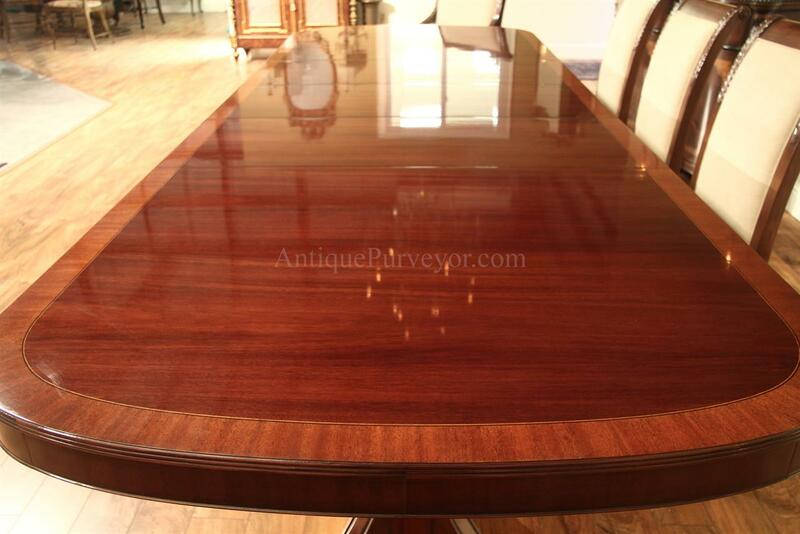 The finish is perfectly transparent and the grain catches your attention from accross the room. 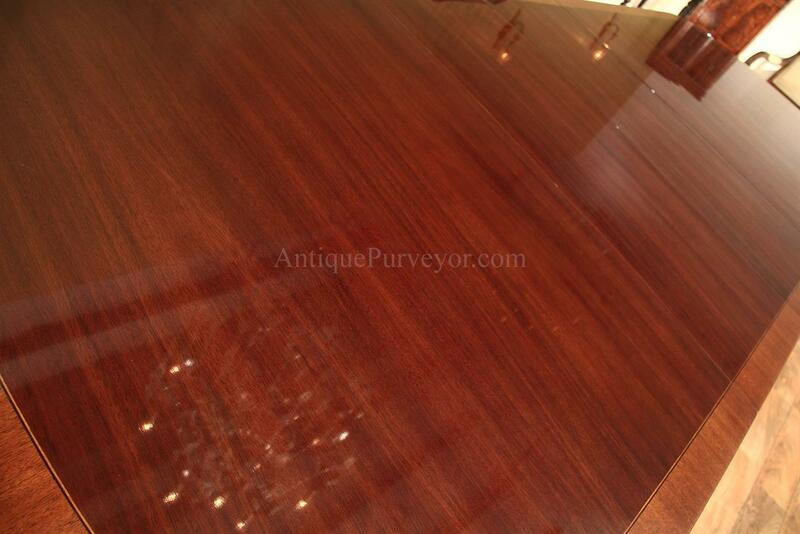 The table sparkles when you look into its finish. 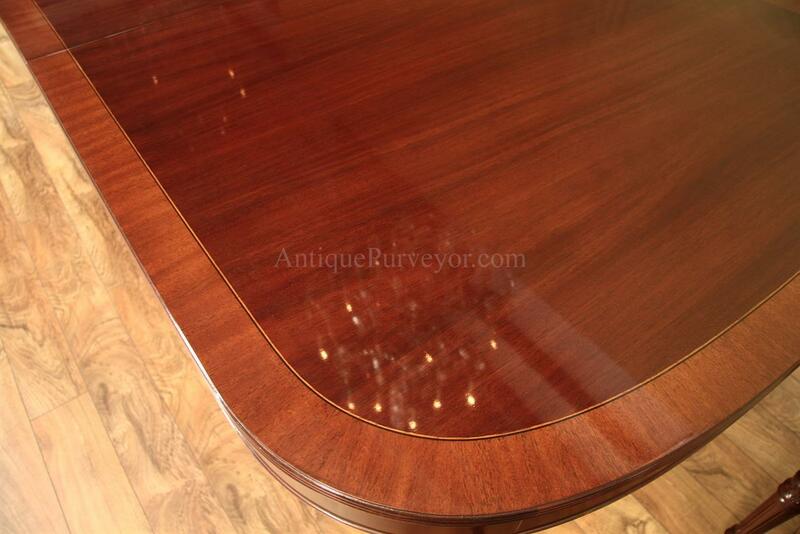 We designed this table to have a slightly offset mahogany banding on the outside border and we used black white pinstrip separators between that border and the field. 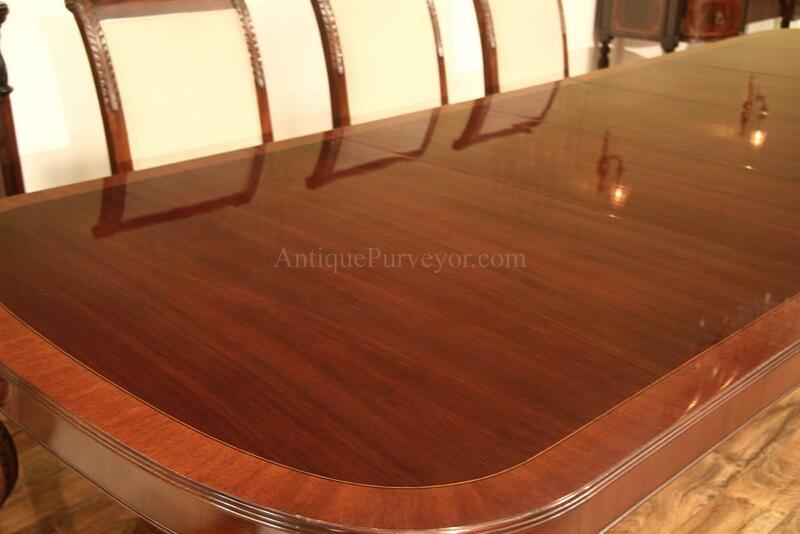 The Veneers were carefully matched to give the table an appearance of one solid graceful mahogany pattern. 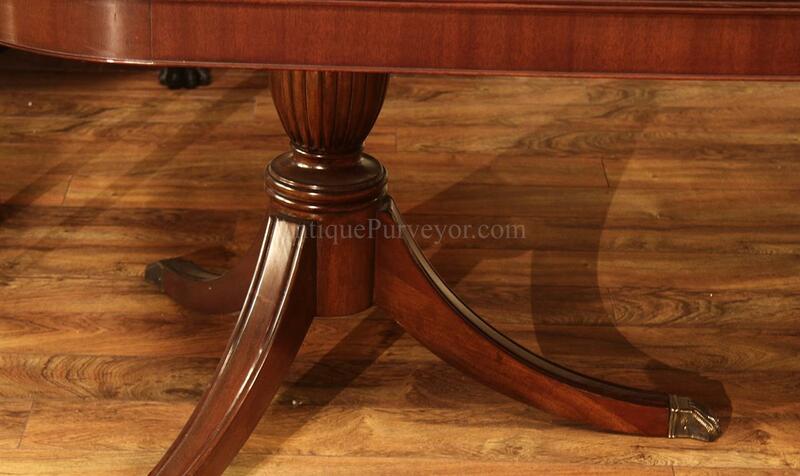 The beauty of this table is its simplicity. 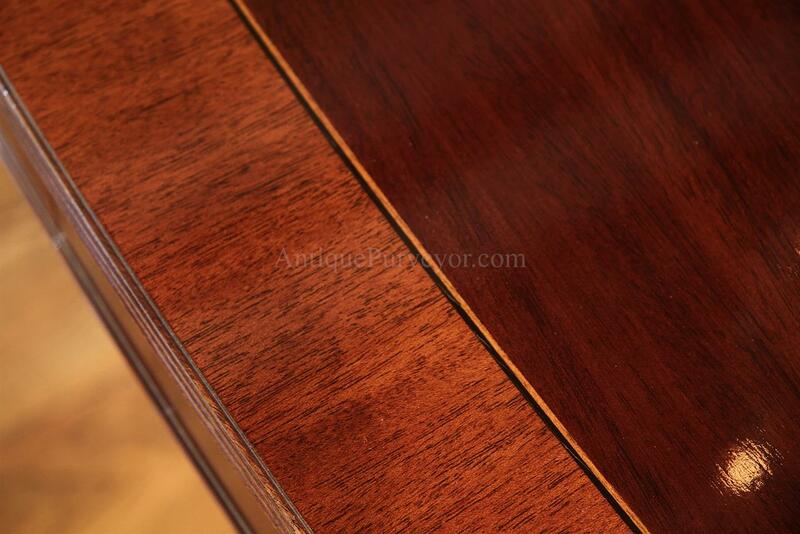 Careful attention went into its color as well. 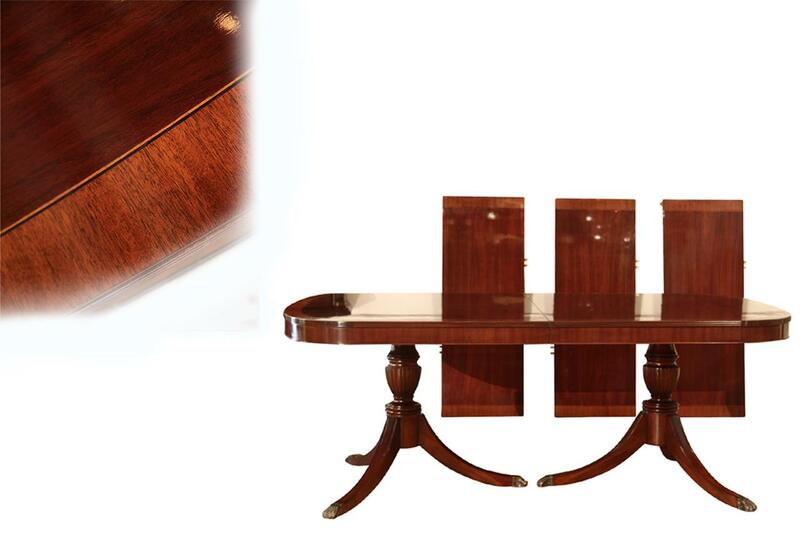 Its is a perfect blend of walnut and mahogany color and the color falls right in the middle of those two common colors. 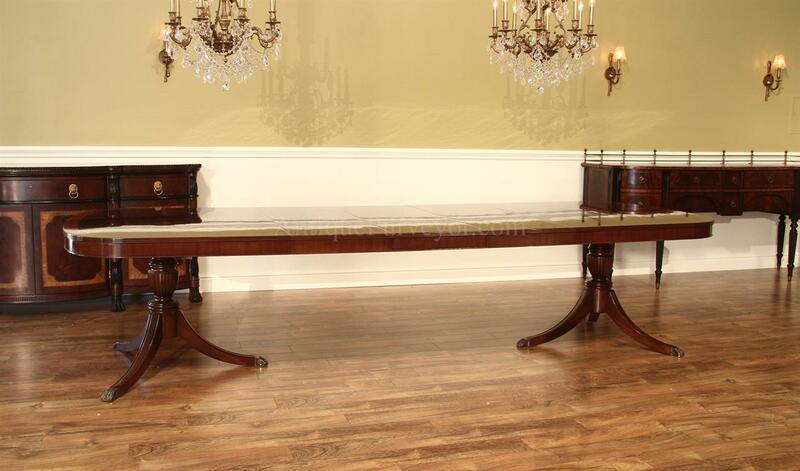 Table should work with any range of brown. 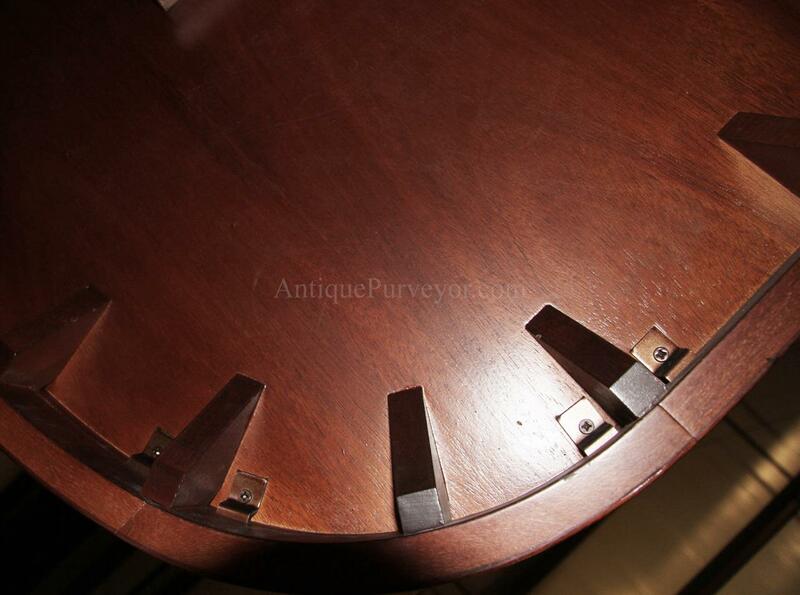 This table is called a 'D' shape table. 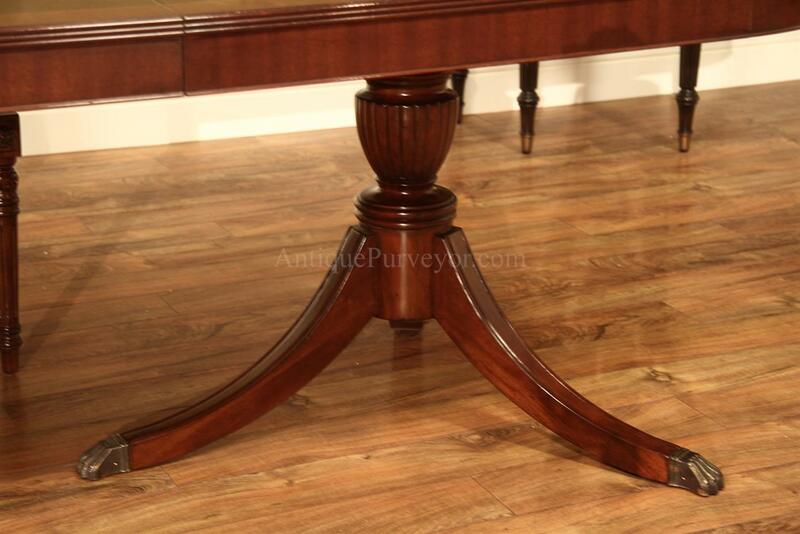 It has soft turning corners and a soft radius end, unlike a straight end table. 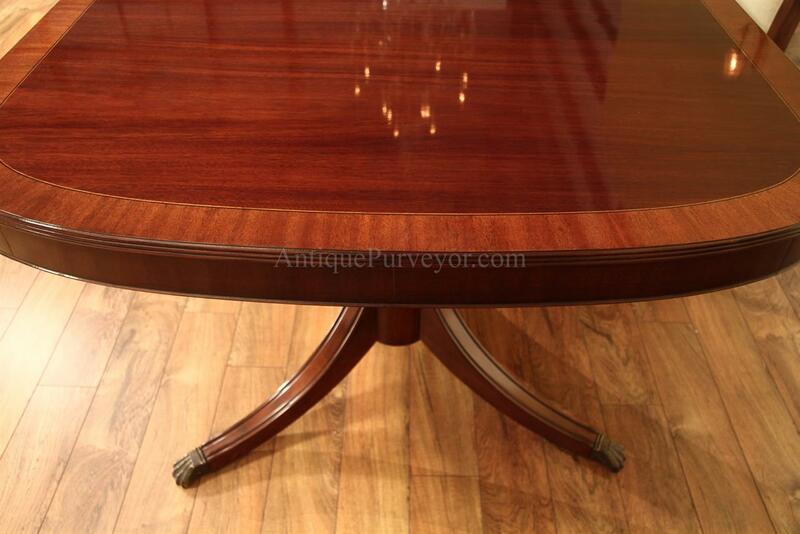 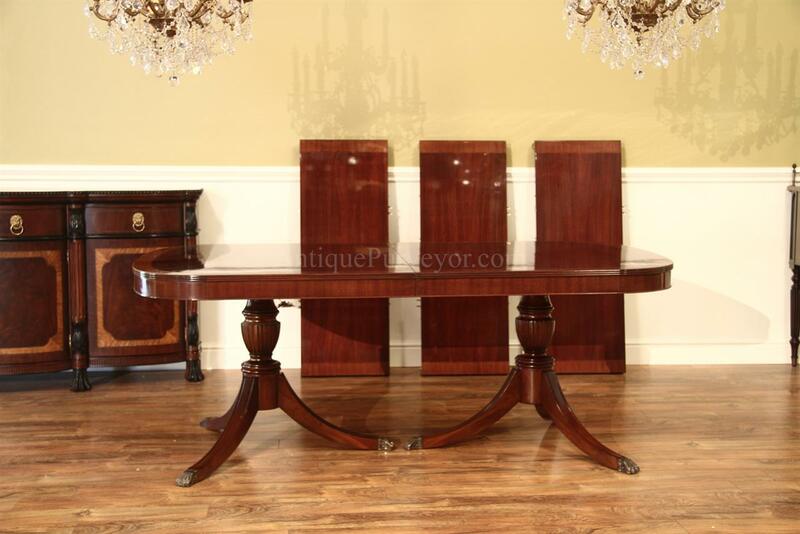 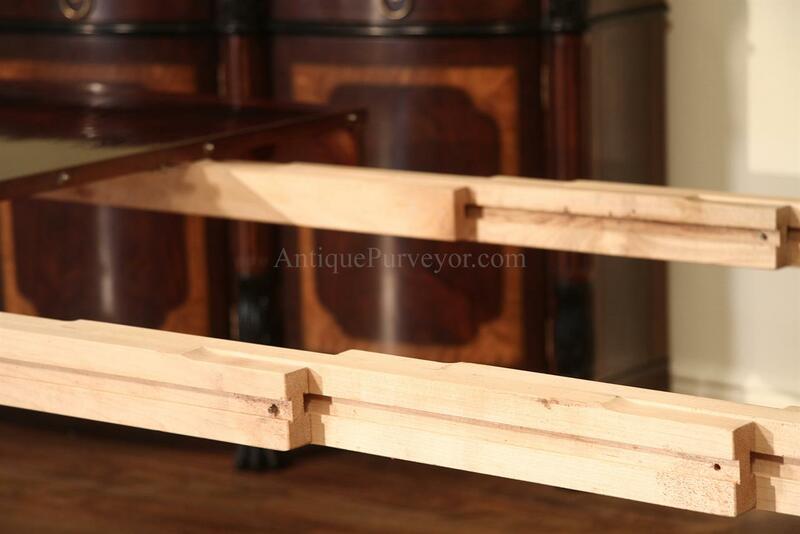 We import Duncan Phyfe saber leg pedestals for all of our double pedestal dining room tables. 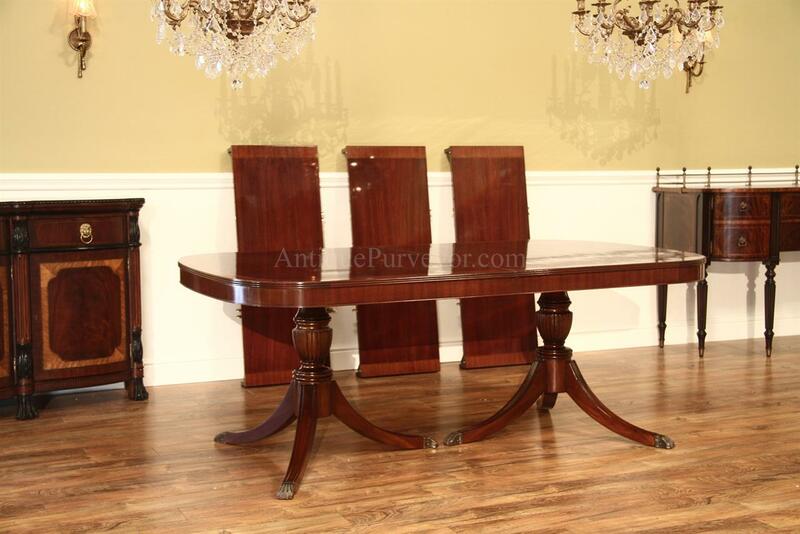 This Americna made table sits on our own imported components, which are better and stronger than any other pedestal we can offer. 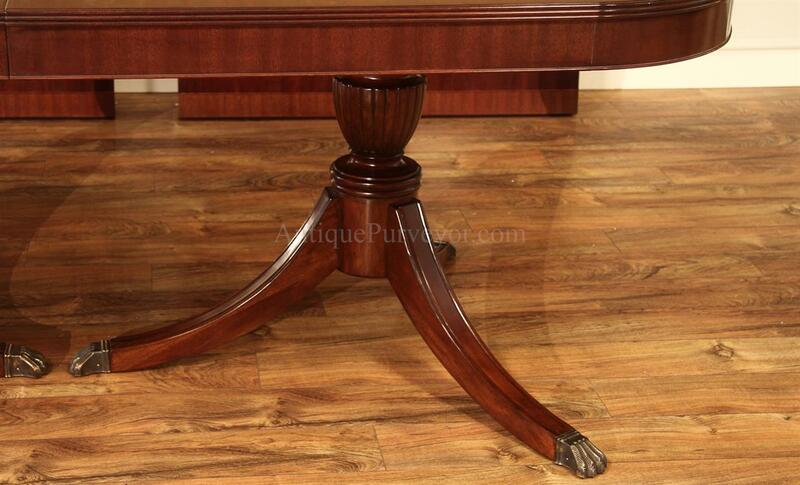 American made pedestals would add to the cost of the table and we can do that if you want 100% American origin. 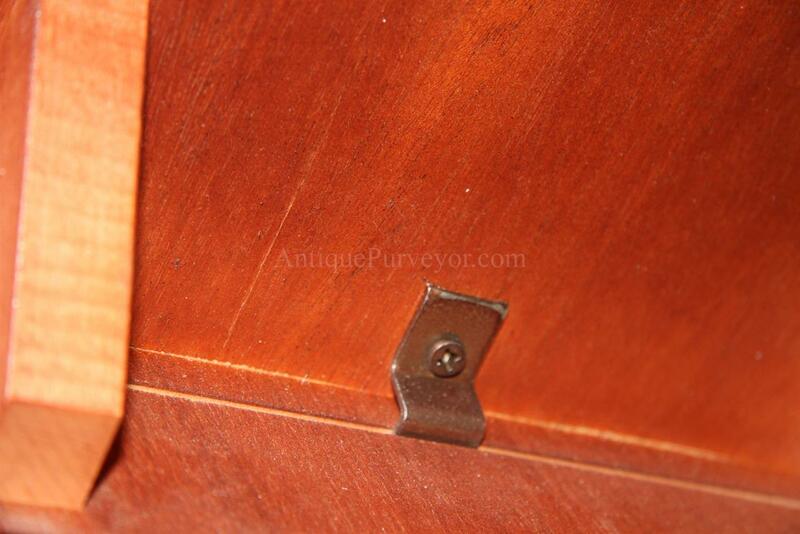 We added a few picture of the table slides, which are wood slides. 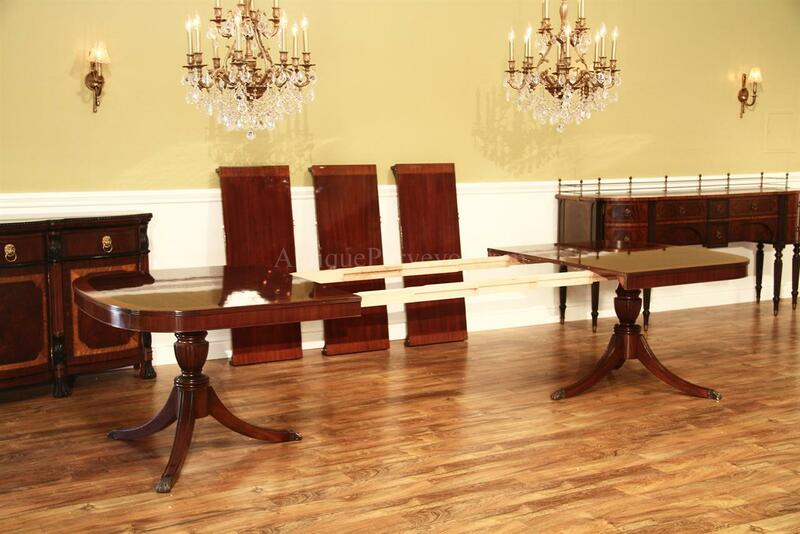 In this product page, we highlight the construction of the tables apron which is a strong point of this table's construction. 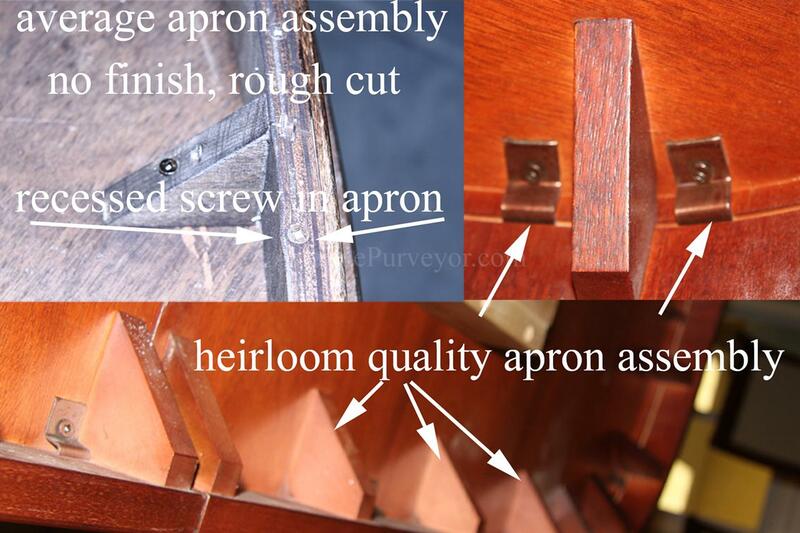 See all of the pictures, some have notes in them.